Ahhh the Indian Train Journey! I am genuinely excited that I can properly recount a few journeys in India now. I took a number, all in relative comfort I should say, in my twelve days in India. This was the first major journey, nearly twelve hours across Rajasthan from the main Rajasthani city in Jaipur to the desert city of Jaisalmer, from where I launched into a ‘Camel Safari’ and visited its amazing fort. Jaipur train station is pretty big, and it can be intense. Getting in there and finding the correct platform can be a task. You go through security, and on to platform one. On each platform are two signs – well there are far more than two, but two main sets of signs. One is for the train that is next due on the platform. It shows the carriage number so it recurs every 20-30 metres or so, and it also flashes up the train number. Don’t get that confused with the red digital sign though, there’s a couple each platform, which lists all the trains arriving in Jaipur. It goes through with the train number, name and expected time. Both signs alternate Sanskrit and English. This is the way most big stations in Rajasthan at least seemed to operate, and Delhi and I expect throughout India. Once you work it out, it makes finding your train much easier. In this case I was on train number 15014, the Ranikhet Express. I had my ticket printed from home. 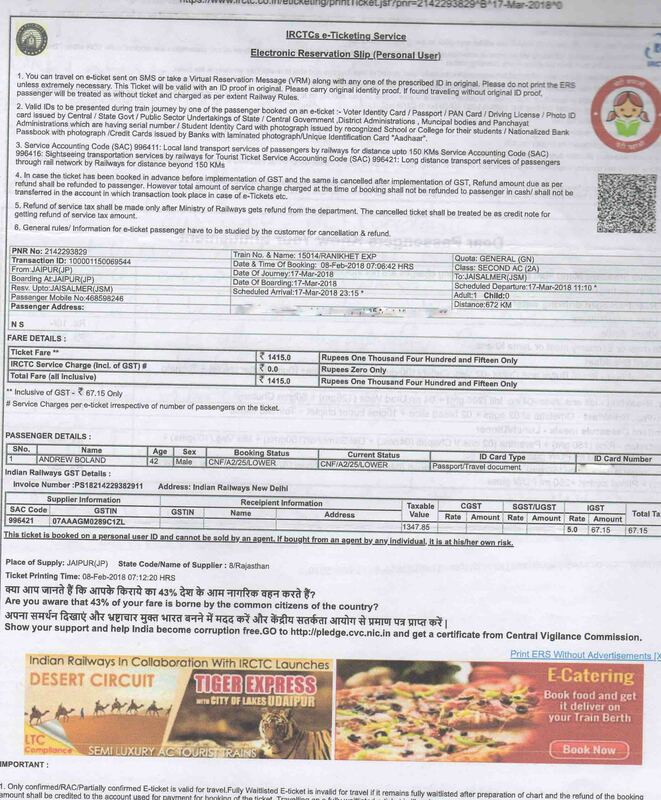 I bought through Indian Railways, I didn’t need to exchange it for another ticket or anything, so that was straight forward and a load off my mind. As I wasn’t operating in travel mode until I left, I didn’t care about the expense. So I took, generally, the best class available. In this case it was 2AC. This means two berths with air conditioning. 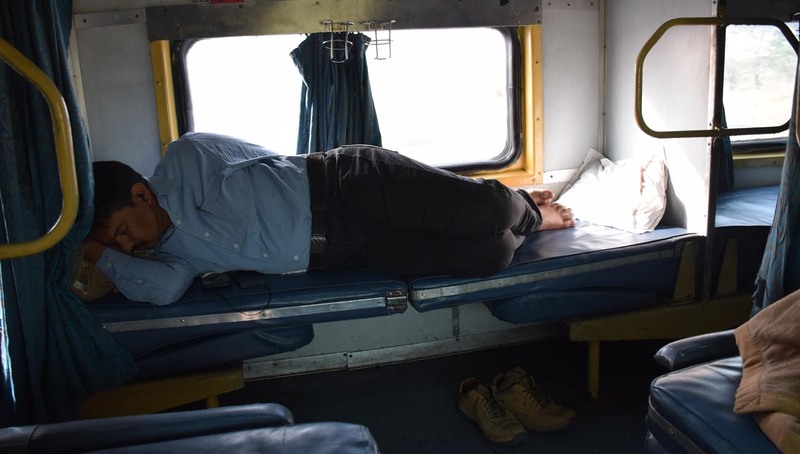 It was a sleeper train although I was taking it only in the day. It had started elsewhere and gone through the previous night. So these were the carriages available. There’s not a lot of difference to 2nd Class except the air conditioning. Which in the day I think is probably a good thing to have, in the evening it cools down in March in Rajasthan and so it’s not so essential. Or at all essential really. The ride through Rajasthan is not the prettiest in the world. Or interesting. Mostly because there is no variation in the dry, flatish landscape. And most of the travellers in 2AC take the opportunity to either sleep or in some cases, conduct business on their phones. 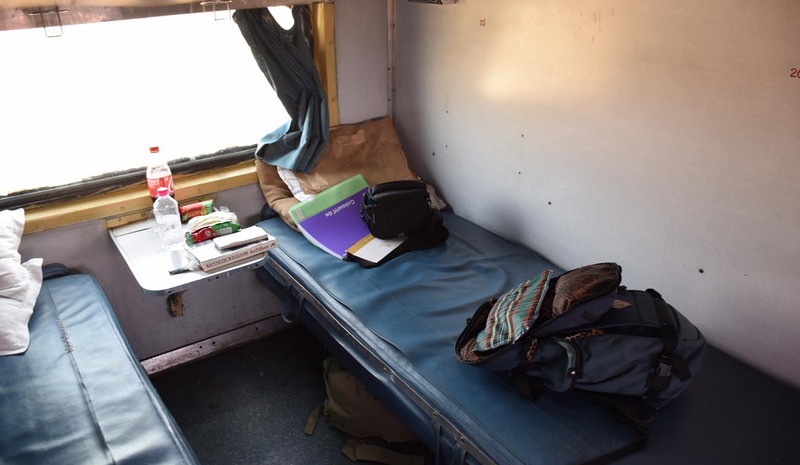 The price of the journey was around 1400 rupees for around 11 hours on the train, which is around $28 Australian. Maybe $22US or slightly less. But 2nd class is around a third of that price. The train was due to leave Jaipur slightly after 11am. However, I had me a late train, which is not unusual in India. 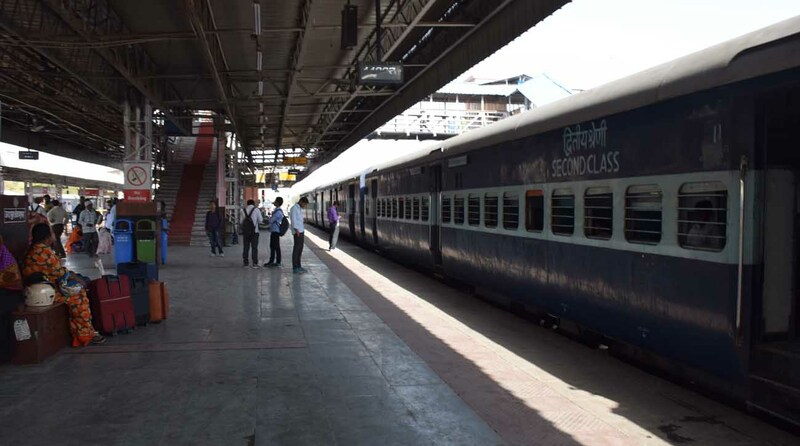 It left shortly after 2pm, so I had over three hours on the platform at Jaipur Station. Which was fine for a bit but soon got old. 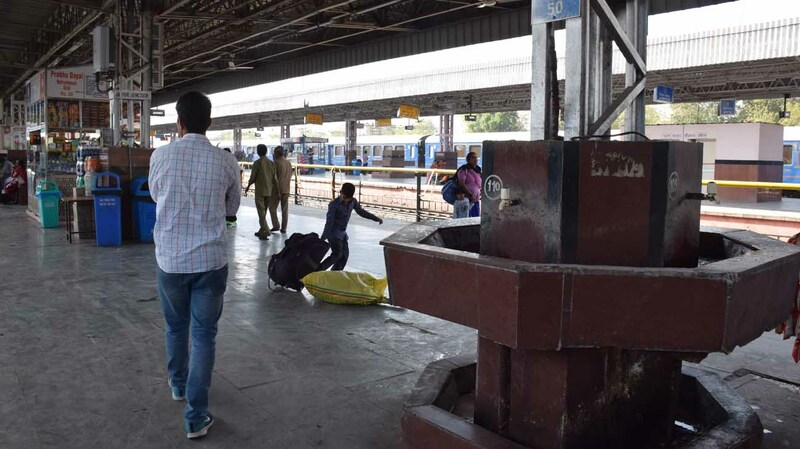 Trains in India tend to have longish stops at major train stations, so if you’re hungry you can always hop off and grab stuff, there’s usually plenty to choose from. 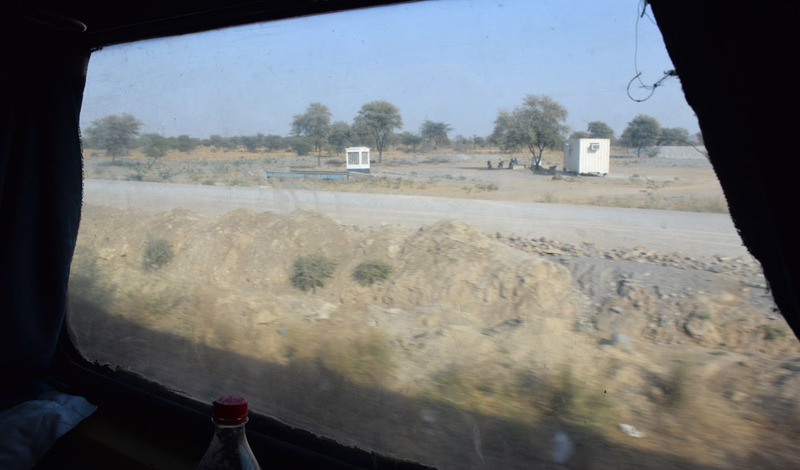 Once we left though, we moved on through the aridness that is Rajasthan, through the occasional city such as Ajmer. Not long after six the sun is down and then we are rolling on through the night. Due in at Jaisalmer at around 23 hours, we got in just before 2am. Which was not ideal. But the journey was comfortable, and got me the 672km from point A to point B. In one piece. And it’s a real rail journey, pulled by a diesel locomotive or two, with at least twenty carriages and hundreds and hundreds of people. And for me in India, it’s the only way to travel! Thanks for reading, May the Journey Never End! Previous Push Coming to Shove… is Pushkar Worth Visiting? did you get any cake? that is the real question here!